GLENWOOD SPRINGS — Both of Colorado’s U.S. senators are now on board to prevent drilling for oil and gas in the Thompson Divide region west and south of Glenwood Springs. 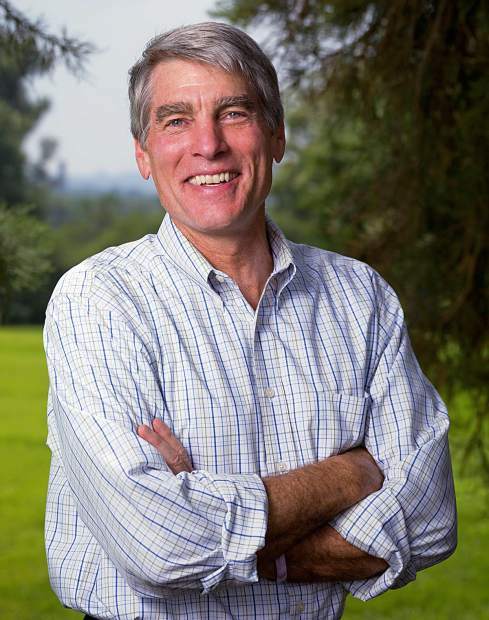 Sen. Mark Udall on Thursday added his name as cosponsor of the Thompson Divide Withdrawal and Protection Act, a bill originally drafted and introduced by Udall’s fellow Colorado senator, Michael Bennet. The legislation would withdraw unleased lands in the Thompson Divide area from future leasing programs for mining or other development, and it would permit those currently holding mineral leases in the area to relinquish those leases, either by donating them to conservancy organizations, selling them or voluntarily exchanging their holdings for other mineral interests elsewhere. Thompson Divide is a largely undeveloped area encompassing 221,500 acres of mostly federal land that touches on Garfield, Pitkin, Mesa, Gunnison and Delta counties. The region contains 61 natural-gas leases, covering approximately 105,000 acres of land, much of which is in officially designated roadless areas, according to the Thompson Divide Coalition, a Carbondale-based organization fighting to keep drilling rigs out of the area. The announcement of Udall’s cosponsorship of the act was greeted with glee by Thompson Divide Coalition supporters in the area. Those sentiments were seconded by Tai Jacober, CEO of the Crystal River Meats business based in Carbondale. According to a recent report by the Denver-based BBC research group, hunting, fishing, grazing and recreational activities in the Thompson Divide region provide nearly 300 jobs and $30 million annually in economic value on top of the area’s less tangible value as a scenic draw for regional tourism.